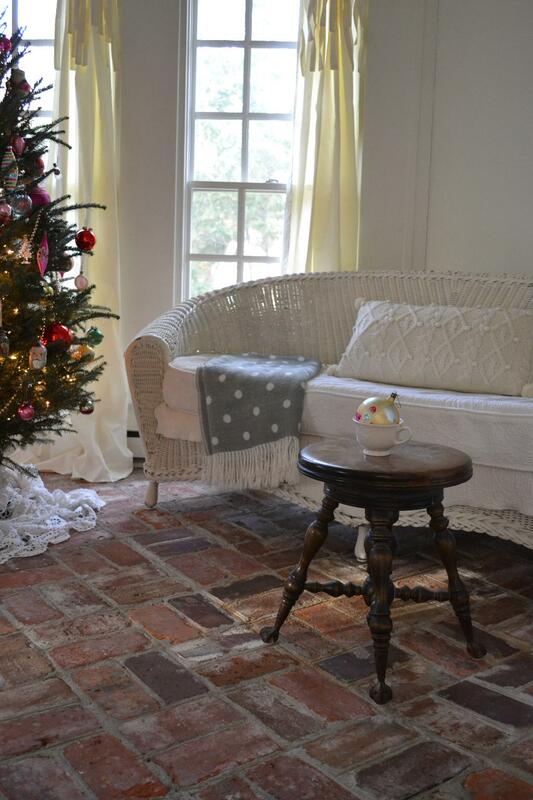 Salutations from the little Christmas cottage on the East Coast that’s soaking in the Christmas magic and maybe running around a little like a chicken with it’s head cut off! Ya know they really do that. My mom has a story or two about my great grandmother and her farm and chickens and you see where this is going. 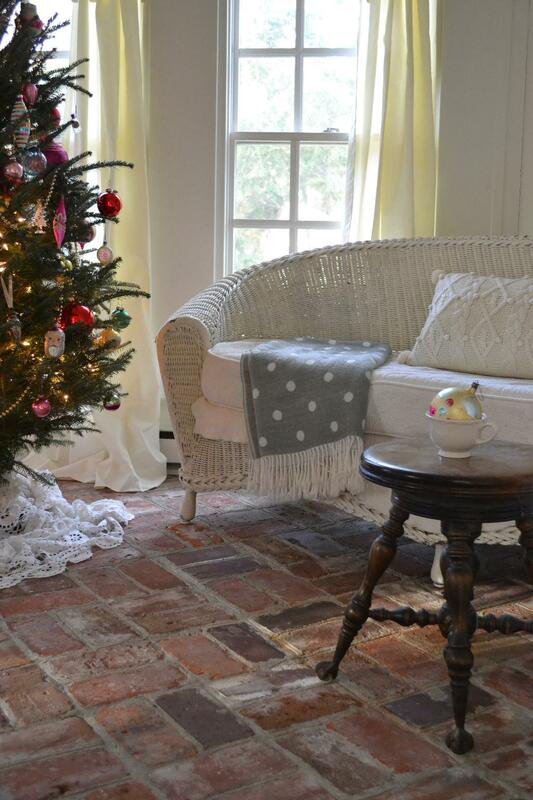 The cottage is all decked out. 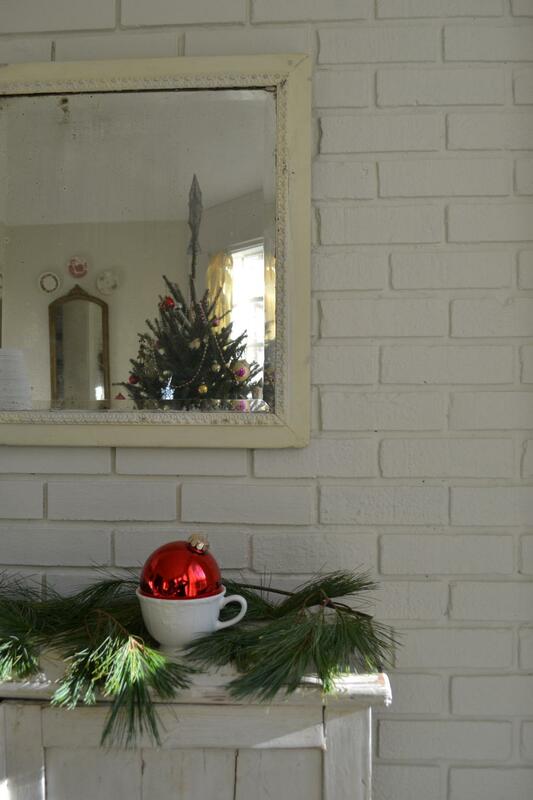 I like to keep things fairly simple and the kiddos like to put out every drop of glitz and every bauble from the attic so we happily meet somewhere in the middle. And all is good. I knew my fresh greenery couldn’t last the entire holiday season and I’d either end up living without or changing it out for new. 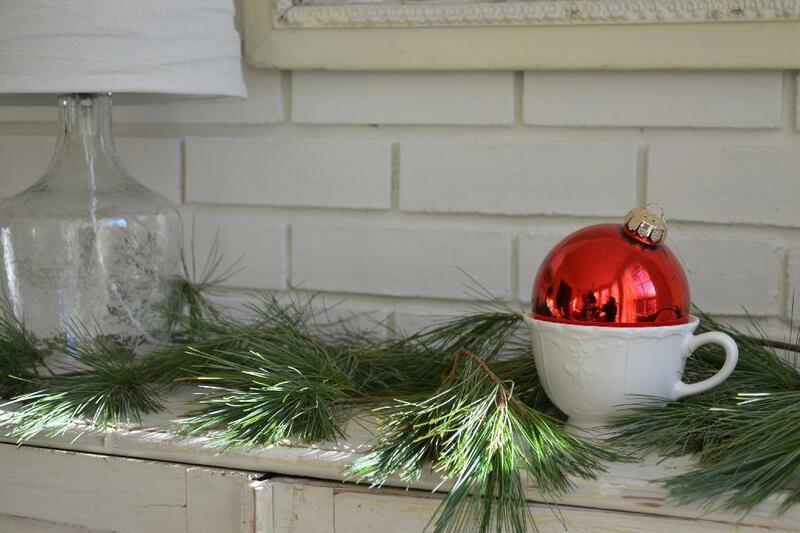 Well sometimes things just fall into place and isn’t it nice when that happens even if it’s with something as simple as greenery for Christmastime. Just as my greenery from the back garden started to get a little crispy my dad happened upon as much fresh pine as I could use, and then some. Enough for my mom and me and the whole East Coast I’d say. The power company was cutting it down and he asked to save it for us. He always has a way of surprising me with fresh greenery, last year it was fresh pine roping. Love it! So today I chucked the dried out stuff and filled it in with this light and airy pine. I actually like it even more than what I started the season out with, it’s wispy and light. 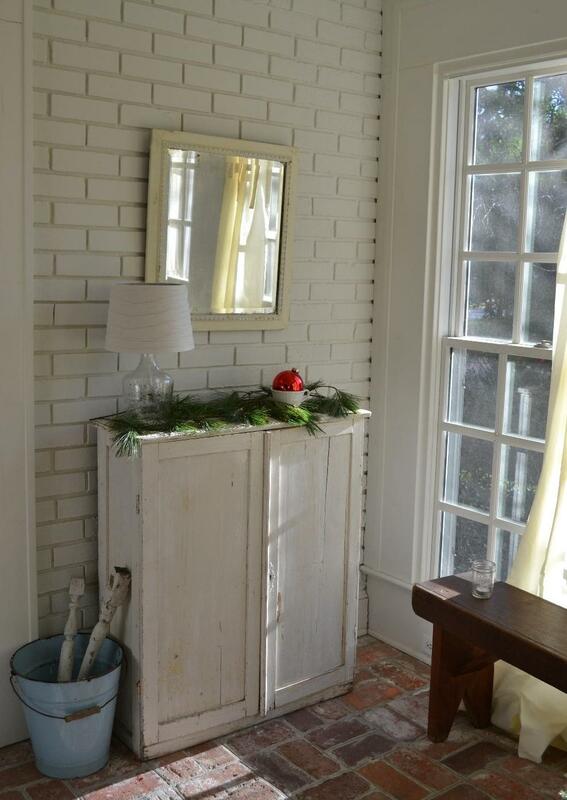 The fresh pine filled in the mantle nicely and I had enough to add to a couple of more spots around the cottage. I actually have a pile of extras stashed in the side garden just waiting in case of an emergency. 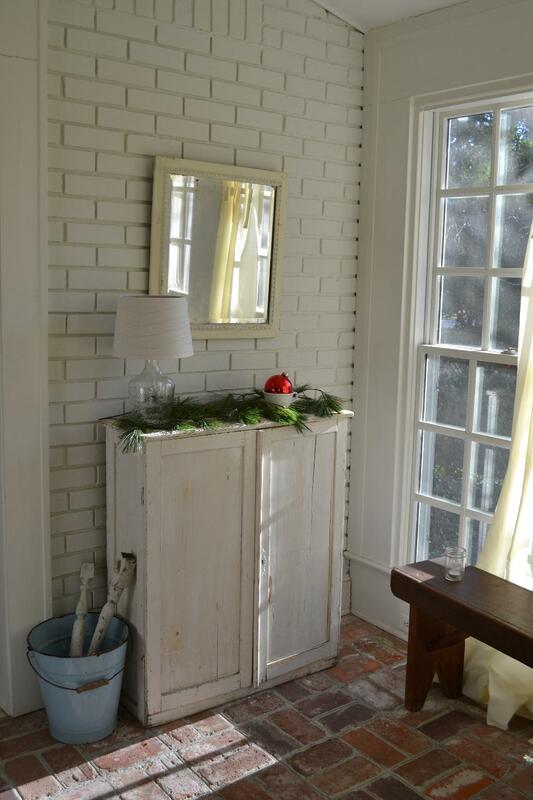 So not to fret Cottage Fix friends, this Christmas cottage is equipped for any kind of fresh greenery emergency that comes this way! This is just a little something small for the office. 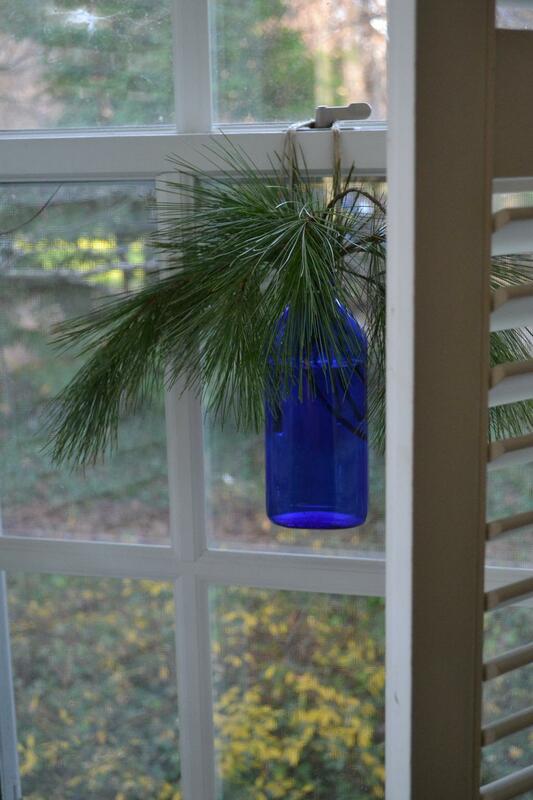 I filled my blue BROMO bottle with pine and hung it from the office window. It’s nice having a little something in here. And on the sun porch I added quite a lot to the craft cabinet. 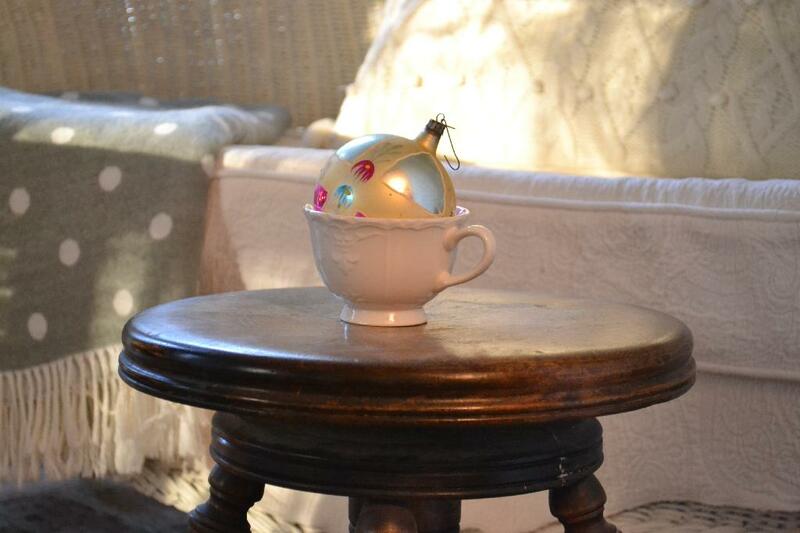 The shiny red bauble in the teacup adds a nice pop of red. 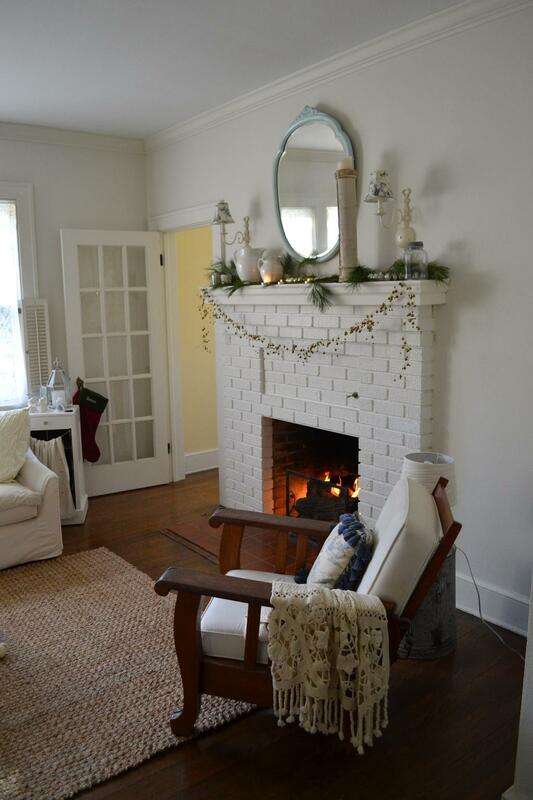 This entry was posted in seasonal decor and tagged Christmas, cottage, decorating, holiday on December 19, 2014 by sally. Your simple holiday decorations looks so pretty, Sally. 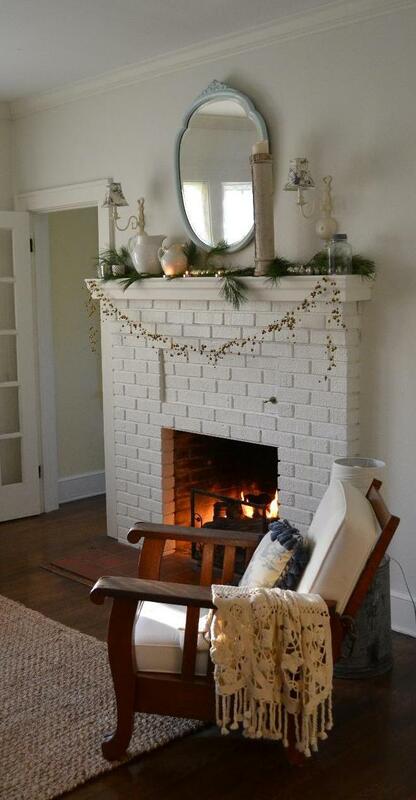 I love the greenery you’ve tucked into your mantel! I managed to get a nice supply of fresh greens, but unfortunately I’m allergic to pine, so I’m only able to fill my window boxes and planters outside. 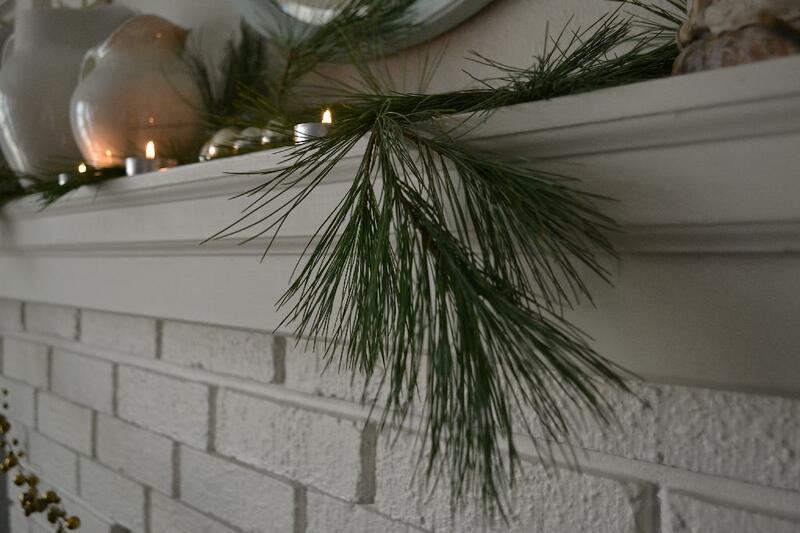 I’ve got one of those pine scented icicles hanging in my artificial tree to bring a somewhat fresh pine sent indoors. lol! Good luck with your remodel! Enjoy, and if we don’t ‘talk’ again before the 25th, have a Merry Merry Christmas. 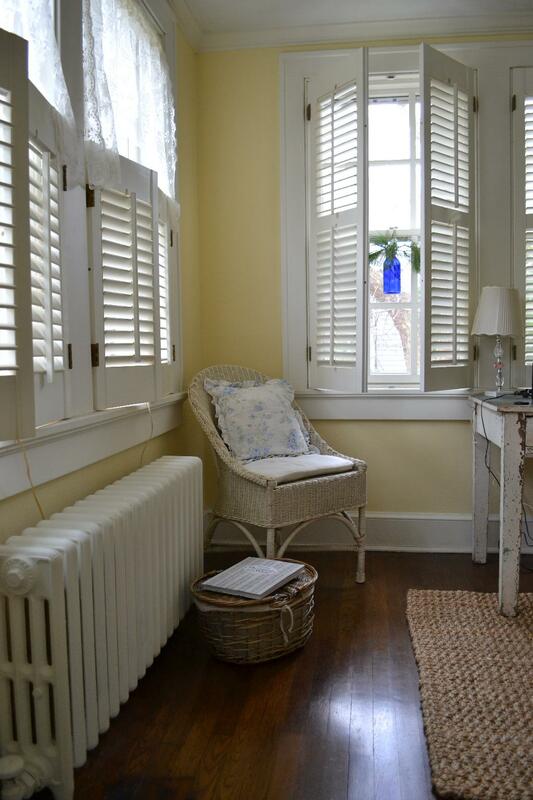 I absolutely adore your charming cottage, Sally!! 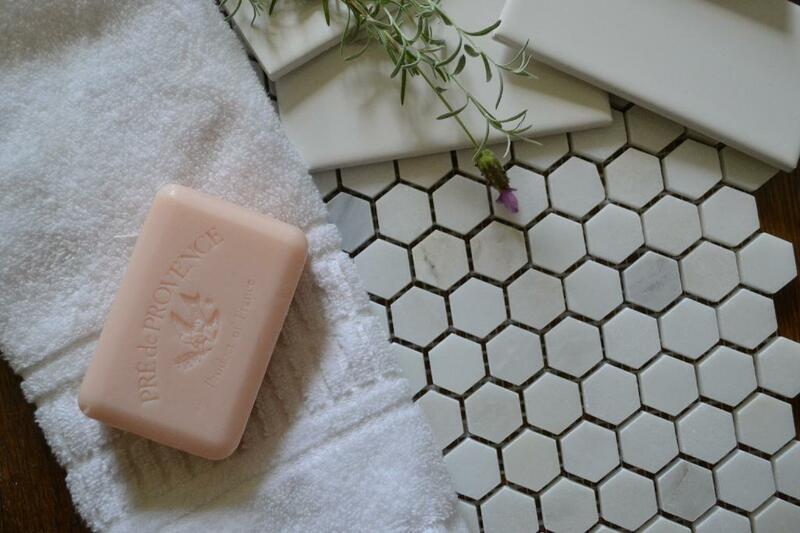 Your elegant cottagey style speaks to me…I’m thrilled to see more of your home in this post. I’ll be revisiting to soak it all in. Loving all our fresh greenery!! Your fresh greenery looks so good. Glad that your Dad kept you stocked up. 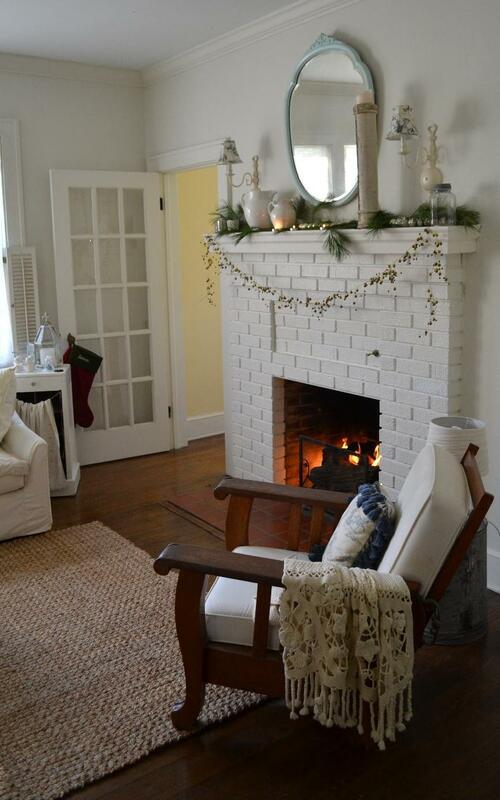 I love your white painted brick everywhere. 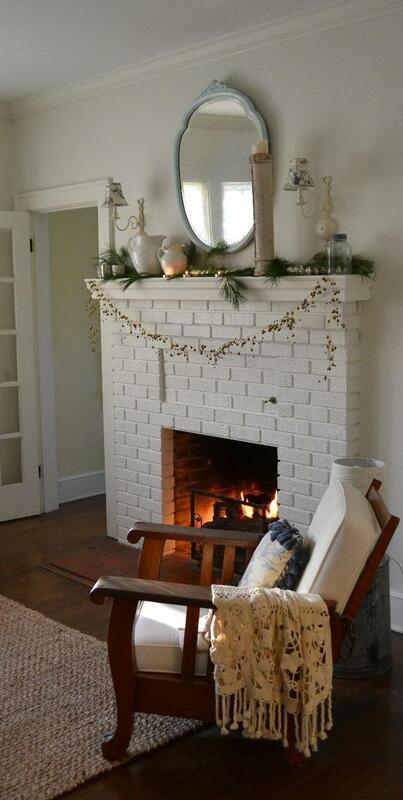 If I had brick, I’d paint it white too. Love that look. The fresh greenery just adds a beautiful touch each place you arranged it!